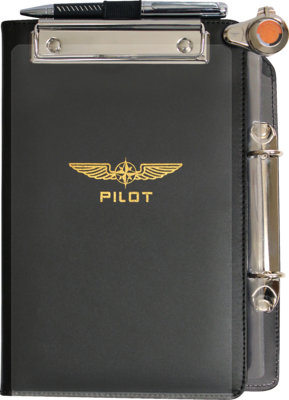 This elegant and very high quality A5 kneeboard is made of eco-friendly leather, with a wide Velcro strap with anti-slip pads for stability, holding clip, two elastic penholders and socket for a stop watch from the PILOT CONTROLLER® KIT. 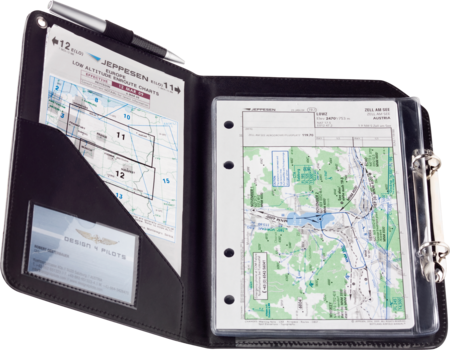 The PROFI kneeboard has a ring mechanism on the right – with standard A5 width – to organise your IFR approach plates for keeping a free hand while flying. 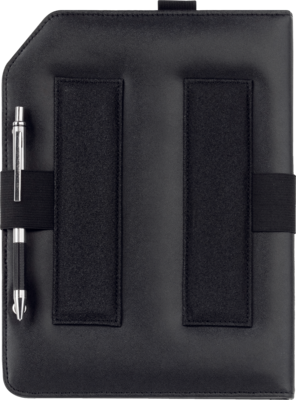 Inside there are 6 transparent pockets for approach charts, checklists, a pocket for maps and a business card pocket.